NXT has become WWE's third global brand and the launching pad for some of today's biggest Superstars including Seth Rollins, Charlotte Flair, Alexa Bliss and many more. 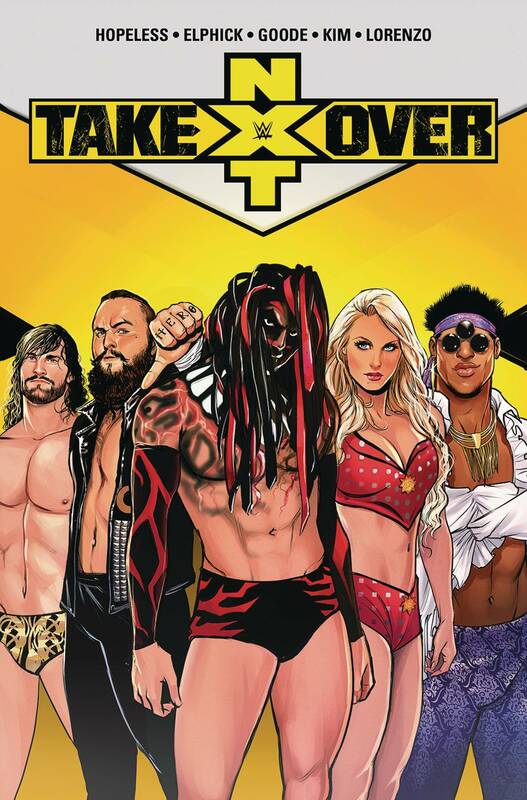 Learn the untold stories behind NXT in this special event from writer Dennis Hopeless (WWE) and artists Jake Elphick (WWE: WrestleMania 2018 Special), Kendall Goode (Maze Runner: The Death Cure), Hyeonjin Kim (Sisters of Sorrow), and Rodrigo Lorenzo (WWE: Undertaker). Collects the entire 4-issue series.